I’m currently working as an embedded software architect of DmOS - DATACOM’s universal embedded OS. I focus on modularity, continuous integration, incremental qualification and DevOps. I work very closely with the DevOps team, bringing solutions and new technologies, and also helping in general. I was one of the architects that worked on the initial definitions of the architecture, processes and tools used nowadays in the company. The architecture group itself was something new back then. Before the creation of the architecture group, I led small (8) development teams. At first, I led teams of embedded software development for about 5 years, as I started as a developer myself. I then led the test infrastructure team for about a year while also acting as a software architect for the Ethernet switch product line. I hold a master degree in computer science from UFRGS. My research line was on computer networks, distributed systems, fault tolerance and security. My dissertation was about distributed firewall rule coherence. I implemented the prototype checker in Haskell. I hold an MBA on management and leadership from UNISINOS. I graduated in electrical engineering from UFRGS. I value technical excellence, out-of-the-box thinking, generalism, strategic planning and long-term maintainability. I’m always looking for vulnerabilities and enhancement opportunities in my knowledge and tool set. Out of the professional context, I have studied and obtained a license to fly sailplanes. I can definitely say that I learned a lot from doing that, from the differences with my area (extreme risk aversion) as well as from the similarities (briefing/debriefing ~ sprint planning/review). Software architect of DATACOM’s embedded universal operating system: DmOS. Research and high-level definition the system architecture. Design of the overall development process. A lot of code review. Coding of some core modules. Software architect assigned to DevOps. Initial tooling and structuring of the DevOps infrastructure. Definition of the DevOps process: homologation vs test vs production environments. Alignment of the infrastructure with DmOS’s requirements. Coding of some of the solutions. Software Team Leader of Ethernet switch test automation team. test infrastructure maintenance: ~ 5 testbeds, most with Ethernet ring topologies. Evaluation and implementation of static analysis tools. I was also heavily involed with the design and implementation of tools that gathered data and generated development and defect metrics using python and django, full stack. Software team leader of DATACOM’s NG-SDH Multiplexer product line. Coordination of distributed teams (~ 8, about half local, half remote) of embedded software developers. Guidance and reference in the development of solutions. 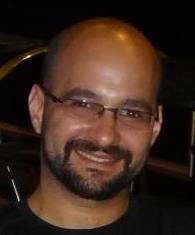 Team member of the first NG-SDH Multiplexer developed in Brazil. Software development using the C linguage for embedded Linux systems: network servers, debug tools and drivers (kernel space). Unix server administration and maintenance. Script development (test automation) and scripting language extension: Lua, Python and TCL (Expect). Research line: fault tolerance, network security and distributed systems. Formal definition of the concept of anomaly in isolated and distributed network packet filters through the use of graphs and set theory. Development of a prototype anomaly checker in Haskell. The program is ranked among the top in Brazil, according to the evaluation process carried out by the CAPES agency of the Brazilian Ministry of Education. Focused on network routing protocols: RIP, OSPF and BGP. I installed my first Debian GNU/Linux at home in 2003, and never reinstalled it from scratch. I use the “testing” release, and update it constantly. I learned Haskell while developing the prototype of my MSc dissertation in 2006. Since then, I have used it on side projects and on programming contests when I have the chance. Even though I did not take computer science at graduation, I was 6th on the entry exam of the MSc at my University (UFRGS). I once got all questions right in a logical reasoning test. The psychologist that evaluated it said that she had never seen that before. This CV is maintained at http://github.com/lpenz/cv with configuration management, automated tests and continuous deployment to http://cv.lpenz.org in several output formats.